Leopard print is one of my favorites. 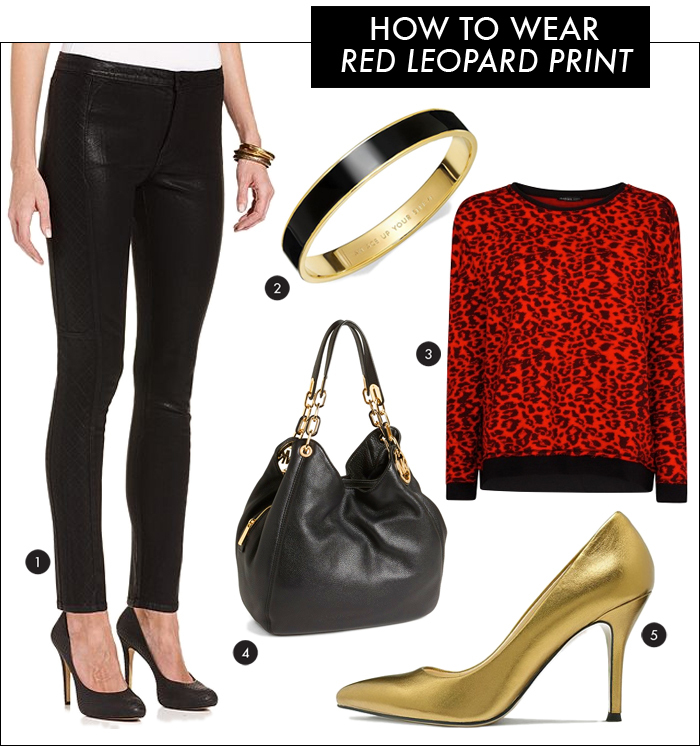 Recently, I found this great, red leopard print sweatshirt at Mango. I like how gold pairs with red, so I thought I would add gold accessories, and these fun, gold pumps. Depending on the shininess of the coated denim mixed with the pumps, in some cases it might be best to pair it with a non-shiny pair of black denim, rather than coated.